I have something rather old for today’s Throwback Thursday post. And something very new, too! Back in 2012 when I was working on Job Hunt, I took time out to write bits of Jack’s backstory. I do that for a lot of my characters, so I have a huge box filled with snippets, pen portraits, bits of dialogue and such. It’s how I work but – over time – Jack’s backstory grew into a novella in its own right. 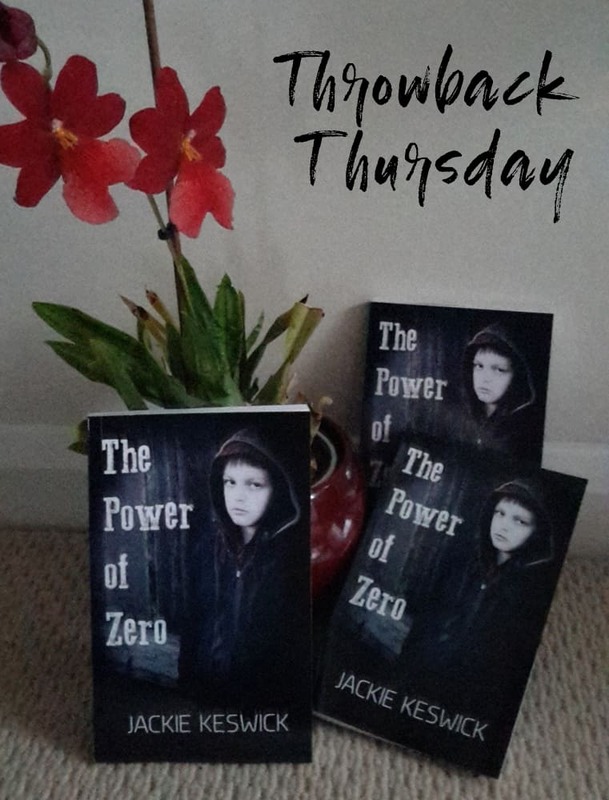 The Power of Zero became the first of Jack’s stories to be published – in the Kickass Anthology, helping to raise funds for Eric Arvin and his family. Then, last year, I took the chance to extend young Jack’s story, give it a thorough overhaul and use it to teach myself the ropes of self-publishing a book. It seemed fitting, seeing how much Jack means to me. Rio cursed when he found the basement empty the next morning. He’d nodded off in the small hours and it was too goddamned early to be awake, but Jack had beaten him to the punch and had disappeared as stealthily as he’d arrived weeks earlier. And it didn’t look as if the boy planned to come back. The thick, woollen blanket Rio’d brought down for Jack lay folded on top of the air mattress and Rio’s spare sleeping bag. Jack had piled the books beside the blanket in a neat stack. His backpack and his few belongings were gone. Rio swallowed around the lump clogging his throat when he saw the spare key back on its hook beside the back door. He’d wanted to help and what had he done? Fucked things up beyond repair. He’d driven the kid into leaving when he’d never meant to turn Jack away from the safety he’d found in Rio’s basement. When all he’d wanted to do was offer Jack a home, no questions asked. He didn’t ask for help. He was suspicious of even the smallest kindness. He didn’t believe a word anyone said to him. But his resourcefulness and determination appealed to Rio, as much as Jack’s magpie mind. Rio had been careful not to ask any personal questions beyond Jack’s first name. He didn’t know Jack’s age and he didn’t know how long Jack had been homeless. In the beginning, he had wondered whether Jack could even read. Then he’d watched Jack devour the books Rio left for him, had watched him smile while he read, and pore over the science books with rapt fascination. Jack couldn’t simply read: he was smart, street smart. But then Jack had misconstrued the meaning of Rio’s offer, and Jack’s reaction told Rio in no uncertain terms what the boy was running from. Rio had kept his temper in the face of Jack’s terror. Now Jack was gone, Rio felt rage so pure he could have traded it as a commodity. What was the point of the government sending him all over the world to rescue people, if he couldn’t rescue the ones landing on his doorstep? The thought brought him up short. Jack might believe he didn’t need to be rescued, but that didn’t mean Rio couldn’t do it anyway. Jack was like a feral cat, wary and distrustful and not easily convinced by words. Action might convince him in time. So, Rio would take action. He would find the annoying brat and drag him back by his hair if necessary. Kid needs a haircut, anyway. Rio turned his back on the basement where barely a hint of Jack’s presence remained, returned upstairs and set to work. He called friends working for social services, talked to charities running homeless shelters, and cruised the backstreets of Clapham at all hours, looking for Jack, praying for a little bit of luck or guidance to aid his search. He couldn’t explain why it was important that he find the boy and make him understand Rio would keep him safe. He only knew that it was. Thank you for reading this Throwback Thursday post. For more details about Jack’s story, the blurb and links to various retailers, please click here.